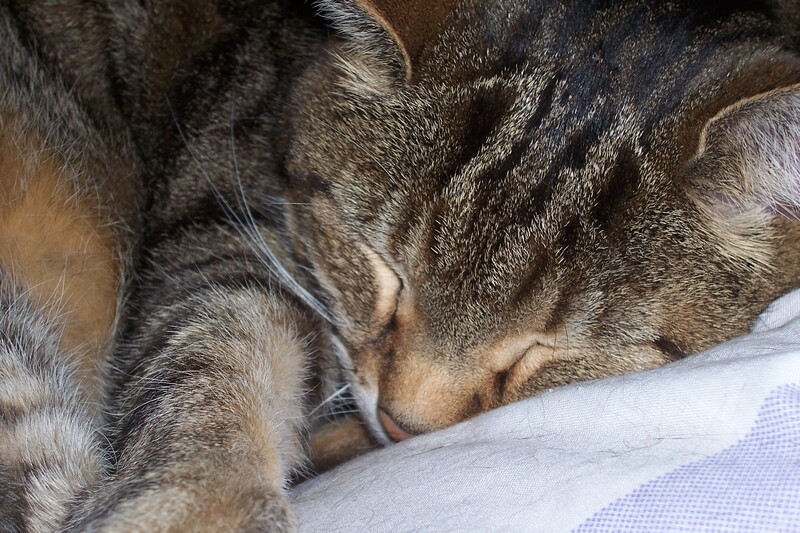 On a sadder note, we had to say Goodbye to our beloved tabby cat, Bronte, on Monday night. She had gone down hill rapidly this year and despite us desperately wanting her to reach the grand old age of 20 in November, we had to make the decision to let her go. I was with her at her birth and will love her forever. I hope Heaven has a sunny spot for her somewhere – she will be greatly missed and left a great big pawprint on all of our hearts. 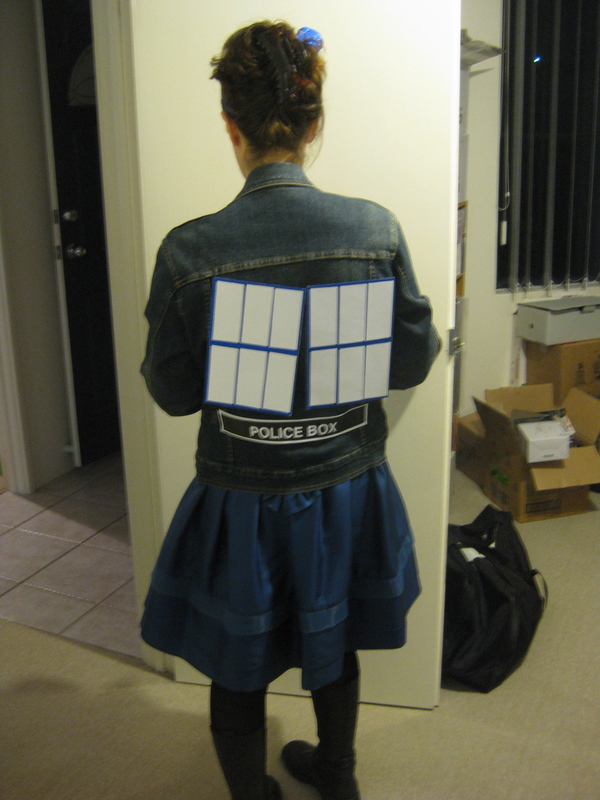 So, not the world’s best costume but hey, I only had a couple of hours… At least people knew what I was. Poor hubby went as Rufus, from “Bill & Ted’s Excellent Adventure” but no one knew who he was. I think they were all too young – some of them wouldn’t even have been born when the movie came out. But I thought he looked awesome anyway. My outfit wasn’t completely authentic or even correct (in terms of some of the wording on the hat and jacket) but I didn’t care. I’m just happy I managed to put something together and that people didn’t keep asking me who I was supposed to be. Luckily there was quite a few “Doctors” in the house so I fitted in well! Today we got up an 1.30 In the Afternoon!!!! Disgusting! I hate wasting the weekends but we were obviously both tired and needed the sleep. 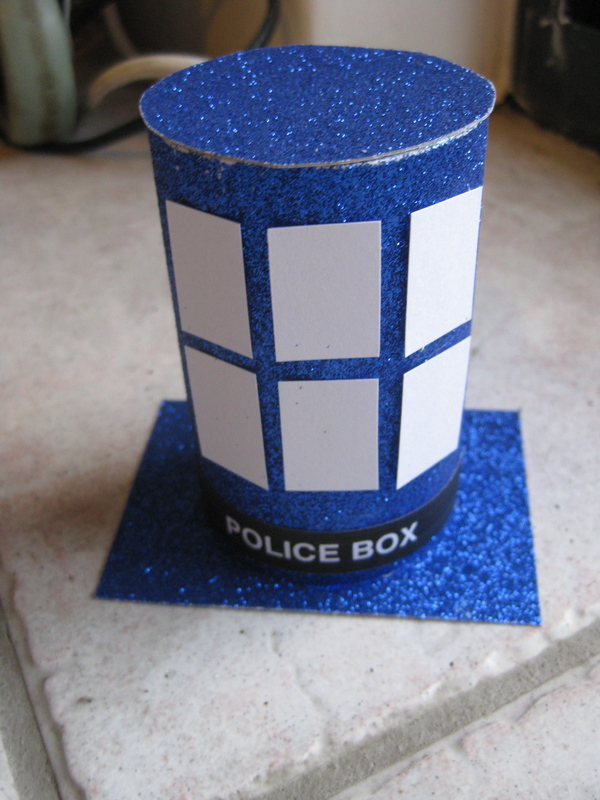 Now I don’t have time to do any crafting as there is housework to do and errands to run. So sorry about Bronte. One of the heartbreaking things about choosing to bring a pet into your life, is the fact that our lifespans are longer than theirs. On a happier note, I’m glad you made it through the first week at the new job in one piece. 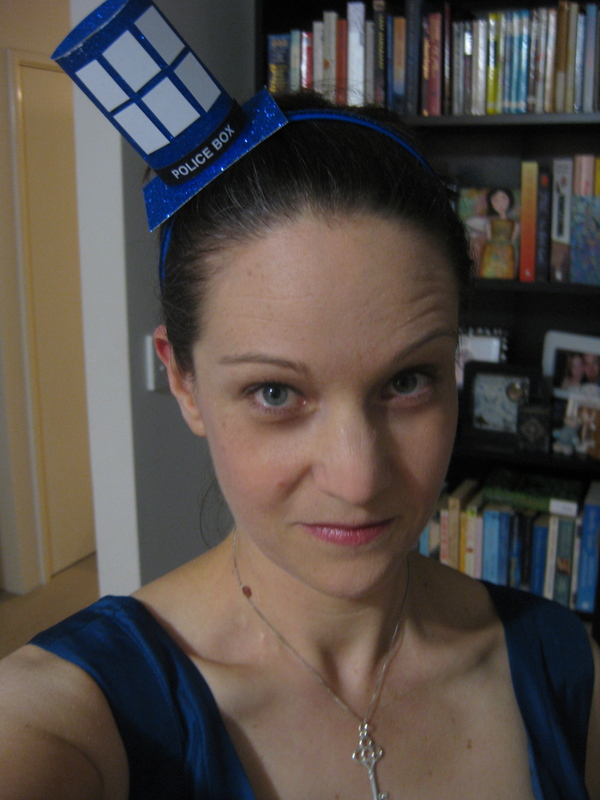 I like the costume – I don’t think it has to be a perfect recreation of the thing or character to convey what who or what you are and your blue costume and little fascinator did a great job. But I’m with you on the loud music and small talk with people you don’t really know, like, or have much in common with. Rather be home crafting! Yes, it never gets any easier losing a pet. But Bronte was VERY old and her time was up. She’d had a good life, been thoroughly spoiled and had been a feisty feline right up until the end. She is survived by 16 year old Alexander who is enjoying having the house to himself (and not quite understanding why that is).